Just grab three simple materials you probably already have in your cupboards, and you have a simple art project ready for your preschooler! All you need is construction paper, foil, and tape! 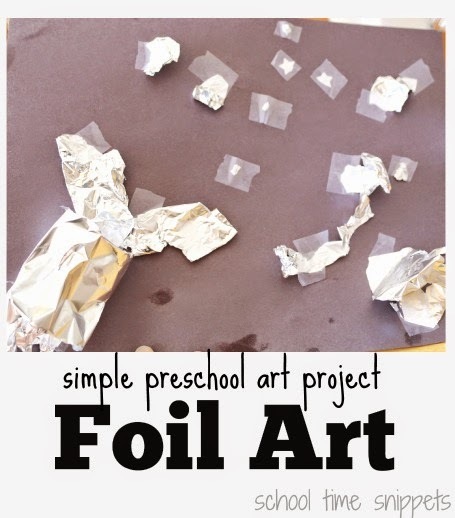 I planned this fun and simple Foil Art project during our Playful Preschool Outer Space Theme, but would also make a great rainy day activity for when you are stuck inside, too! 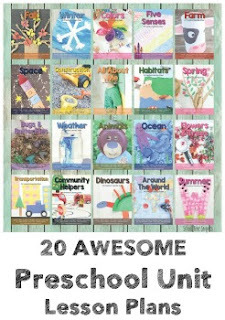 I love that this Foil Art project is simple, easy, and child-led! I simply presented a sheet of foil to Little Sis and had her tear pieces of foil- big and small- to shape and twist and tape onto the black construction paper. The end result was completely up to her; the sky was the limit! And the shiny foil on the black construction paper reminded me of the night sky and twinkling stars!